Equality Illinois is seeking a select, powerful, active group of young professionals to become the next generation of LGBTQ leaders. Equality Illinois envisions a fair and unified Illinois where everyone is treated with dignity and respect, and where all people live freely regardless of sexual orientation or gender identity or gender expression. Are you 35 or younger? Do you care about advancing LGBTQ equality throughout our state? Do you believe in Equality Illinois’ key priorities: Policy, People, and Power? 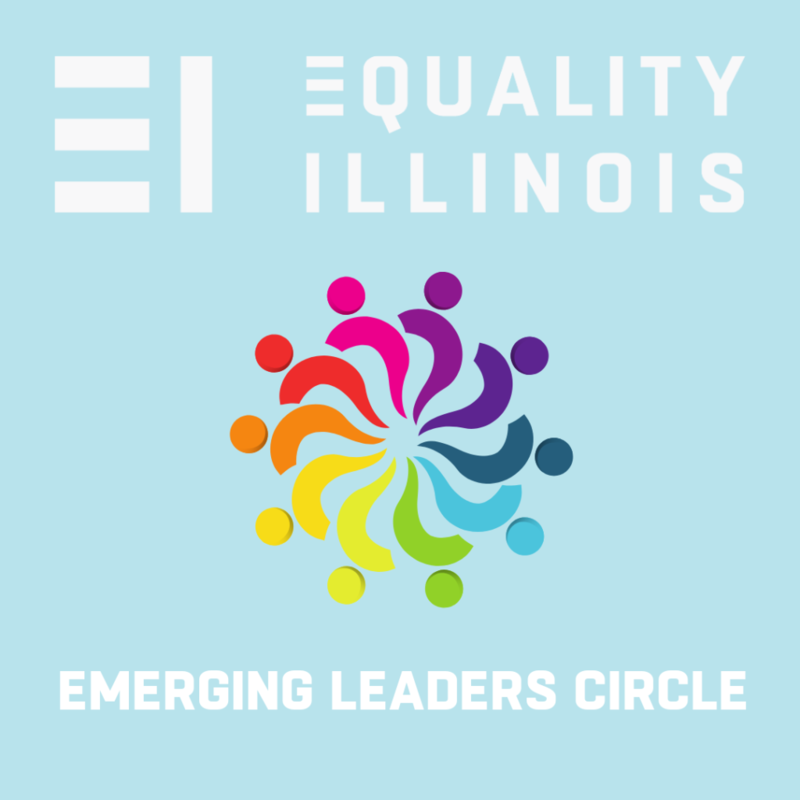 If you answered yes to any of these questions, become an Equality Illinois emerging leader! Participation begins at $50/month or $600/year. Membership in The Emerging Leaders Circle includes recognition in our Annual Report, advanced notice of upcoming events, and complimentary entry to our Pre-Pride Parade reception.